MediSILVER® CLEAR has been a trusted brand of ionic “colloidal” Silver across the globe for close to a decade now. It is made and bottled using FDA Good Manufacturing Practices (GMPs) by Nutraneering™ in their FDA registered facility in Irvine, California on Technology Drive – right next to some of the greatest biotech companies in the world. Production, FDA documentation and Quality Control are overseen by a Biochemist and former Research Scientist at NASA’s Water and Food Analytical Lab (W.A.F.A.L.) in building 37 (the Life Sciences Building) at the LBJ Space Center – Houston. Like all other clear colloidal Silver products, MediSILVER® CLEAR is not truly colloidal Silver, but is an ionic Silver solution where the Silver ions are dissolved in the water rather than colloidally dispersed. The Silver ions in MediSILVER® CLEAR are made from 99.99+% pure Silver – which is much purer than Sterling Silver (92.50% pure Silver). Purity is critical as the impurities in Silver (the 7.50 %) can include Lead, Arsenic, Cyanide, Hexavalent Chromium, and Mercury. MediSILVER® CLEAR consists of pure Silver ions that are dissolved in pure pharmaceutical grade water; no chloride ions are present. MediSILVER® CLEAR is a slightly bitter-metallic, odorless, clear liquid. The ions in MediSILVER® CLEAR are, by definition, only one (1) Silver atom in size and are 100% bio-available. Unlike true colloidal mineral supplements, MediSILVER® CLEAR is supposed to be clear (like pure water) and can be allowed to freeze. MediSILVER® CLEAR is perfectly safe to consume as a dietary mineral supplement. Take MediSILVER® CLEAR as directed; taking more is not likely to yield any additional benefit. Nutraneering™ does not spend much money advertising MediSILVER® CLEAR – we do not have to. This huge savings is passed along to the consumer in the form of a lower price. You can find more expensive, more heavily advertised premium traditional true colloidal Silvers, but we are confident that you will not find one better – at any price. You here purchasing 1 US gallon of MediSILVER® CLEAR in a clear glass jug that is triple sealed for your protection. Made to exacting specifications and bottled by an FDA registered facility. 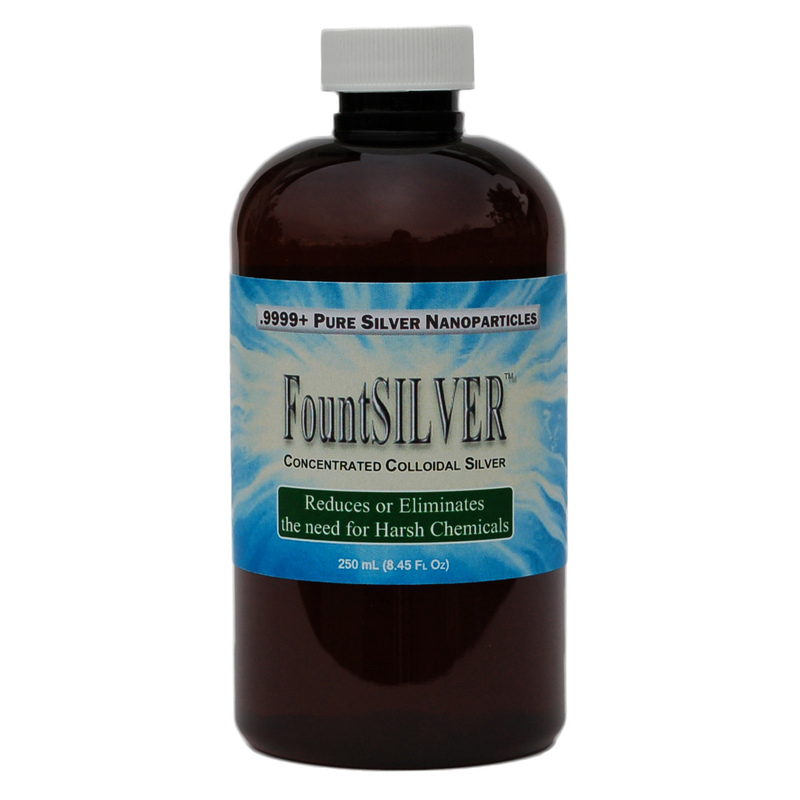 250 milliliter (mL) 8.45 fluid ounce (Fl Oz) bottle of FountSILVER concentrated 99.99+% pure colloidal Silver used to reduce or eliminate the need for harsh chemicals to keep clean water in circulating fountains, water falls and bird baths free of bacteria, mold, fungus or algae. All natural additive to circulating fountains, water falls and bird baths to help keep them free of bacteria, fungus, mold and algae. Contains 99.99+% pure silver colloidally suspended in pure water. Odorless with a long life; other chemical additives are based on chlorine, bromine, iodine (or worse) which are irritating gases in their natural state, evaporated off, need to be replaced often, smell odd, and are not healthy to breath in or expose to sensitive areas such as the eyes. Unlike these other harsh chemical treatment programs, FountSILVER will not harm small animals who drink from water properly treated with FountSILVER. If starting with a NEW circulating fountain, water fall, or bird bath: add one bottle of FountSILVER for every 100 gallons of fresh clean water. For smaller volumes of water, add one (1) tablespoon of FountSILVER to every 5 gallons. FountSILVER can be used by itself or concurrently with lower levels of traditional treatment programs. If starting with an EXISTING circulating fountain, water fall, or bird bath: drain water and clean thoroughly; add one bottle of FountSILVER for every 100 gallons of fresh clean water added. Drain circulating fountain, water fall, or bird bath at the first sign of biological growth, or every 90 days, and repeat. FountSILVER can be used by itself or concurrently with lower levels of traditional treatment program. 1 US Gallon (=128 Fl Oz = 3,785 mL) of true colloidal Gold in a translucent FDA compliant BPA-free HDPE jug. MediGOLD is true colloidal Gold consisting of 20 ppm of 99.99+% pure Gold as bio-available nano-particles – colloidally suspended in pure pharmaceutical grade water. 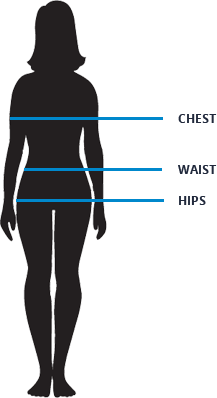 MediGOLD’s nanoparticles are only 2 to 7 nanometers (radii) and thus 100% bio-available. No color is added. No ionic Gold or protein is present. Not photo-sensitive. Top is double sealed: opening is sealed with induction foil sealing disk covering opening which reads “SEALED FOR YOUR PROTECTION” and cap is sealed to neck of bottle with heat shrink neck band that also reads “SEALED FOR YOUR PROTECTION”. Shelf life should be several years for unopened bottles, several months for opened bottles. DO NOT ALLOW THIS PRODUCT TO FREEZE…the product will turn clear as all of the Gold nanoparticles will no longer be colloidally suspended – even after the frozen product thaws. Recommended daily serving is one tablespoon (15 mL) for adults, or one teaspoon (5 mL) for children 4+ years old, taken on an empty stomach to maximize adsorption in the gastro-intestinal tract. Wait 20 to 30 minutes before eating or drinking. One tablespoon provides 300 mcg of Gold. MediSILVER® CLEAR has been a trusted brand of ionic “colloidal” Silver across the globe for close to a decade now. It is made and bottled using FDA Good Manufacturing Practices (GMPs) by Nutraneering™ in their FDA registered facility in Irvine, California on Technology Drive – right next to some of the greatest biotech companies in the world. Production, FDA documentation and Quality Control are overseen by a Biochemist and former Research Scientist at NASA’s Water and Food Analytical Lab (W.A.F.A.L.) in building 37 (the Life Sciences Building) at the LBJ Space Center – Houston. Like all other clear colloidal Silver products, MediSILVER® CLEAR is not truly colloidal Silver, but is an ionic Silver solution where the Silver ions are dissolved in the water rather than colloidally dispersed. The Silver ions in MediSILVER® CLEAR are made from 99.99+% pure Silver – which is much purer than Sterling Silver (92.50% pure Silver). Purity is critical as the impurities in Silver (the 7.50 %) can include Lead, Arsenic, Cyanide, Hexavalent Chromium, and Mercury. MediSILVER® CLEAR consists of pure Silver ions that are dissolved in pure pharmaceutical grade water; no chloride ions are present. MediSILVER® CLEAR is a slightly bitter-metallic, odorless, clear liquid. The ions in MediSILVER® CLEAR are, by definition, only one (1) Silver atom in size and are 100% bio-available. Unlike true colloidal mineral supplements, MediSILVER® CLEAR is supposed to be clear (like pure water) and can be allowed to freeze. MediSILVER® CLEAR is perfectly safe to consume as a dietary mineral supplement. Take MediSILVER® CLEAR as directed; taking more is not likely to yield any additional benefit. Nutraneering™ does not spend much money advertising MediSILVER® CLEAR – we do not have to. This huge savings is passed along to the consumer in the form of a lower price. You can find more expensive, more heavily advertised premium traditional true colloidal Silvers, but we are confident that you will not find one better – at any price. You here purchasing 500 Milliliters (16.9 Fluid Ounces) of MediSILVER® CLEAR in a clear BPA-free plastic PETE bottle that is triple sealed for your protection.